This minor pre-v9 update of Process Lasso adds some important features. 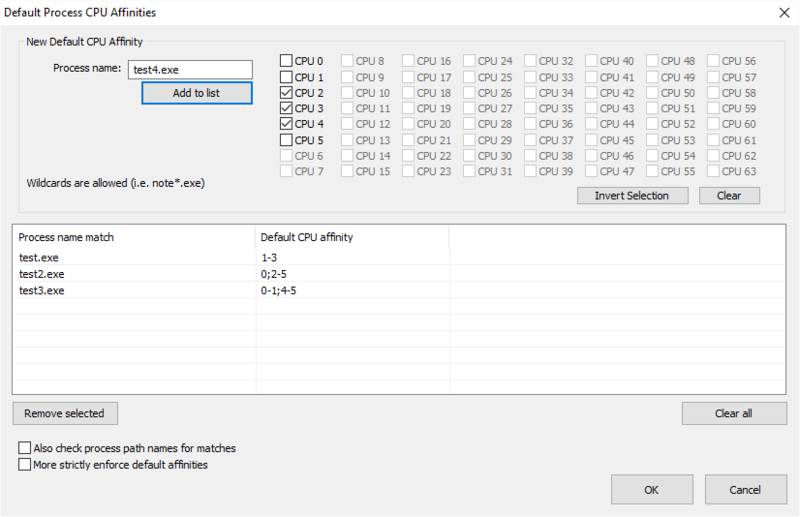 One, we have added ‘Clear’ and ‘Invert selection’ buttons to the CPU affinity selection dialogs, for those with a lot of CPU cores to check/uncheck. Note that the INI configuration file supports our unique shorthand format, such as 1-3;5 (for cores 1-3 and 5), and we’ll add the capacity to enter CPU affinities in that form going forward, among other work in this area. Two, Bitsum has now adopted dual-signing for all our binaries. This is part of the continued deprecation of SHA1. Dual-signing allows us to remain compatible with Windows XP, while adhering to the latest security standards.